Due to the high volume of submissions, we suggest you submit your proposal early and no later than Wednesday, September 12, 2012 to Rachel McDonald, Senior Conference Producer at rmcdonald@iirusa.com or 646.895.7405. The Total Customer Experience Leaders Summit is an event that showcases trends, insights and best practices for measuring, aligning and communicating your customer experience strategy to ensure business relevance. We are also happy to consider topics not listed here that you feel would add value and be appropriate. Speakers receive FREE admission to the conference. For consideration, please email rmcdonald@iirusa.com with the following information by Wednesday, September 12, 2012. 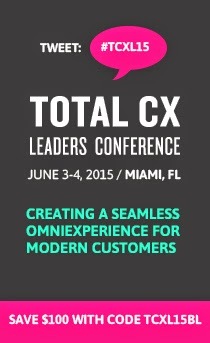 Thank you for your interest in the Total Customer Experience Leaders Summit. We look forward to receiving your proposal!